We lived in South Dakota a few years ago. While we did not stay long, we did enjoy a few things and we drive back often to see some of our family who live there. One thing we learned while living there and where we live now – is that you don’t need to spend a ton of money to have a good time and enjoy any vacation days you have with your family. While we did not have a chance to visit all of these locations, my fantastic Facebook Community has recommended many of these locations. So, take it from someone who lived there and many who do – these are the places to visit while on staycation in the state of South Dakota. I have always wanted to visit Mount Rushmore. So, when we were within a 2 hour drive of it a few summers ago, I could not resist. We drove up to the North-Western side of South Dakota and then down. It was an amazing trip and one that I recommend for every family. Mt. Rushmore is not just a mountain with carvings, there are many historical artifacts in the free museum that every family will enjoy. If you are within a 4 hour drive, you could make it to there, spend the day and still drive home – for a great family staycation. 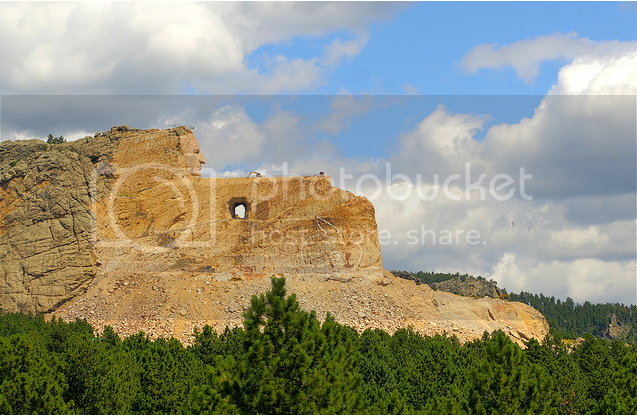 You can visit Crazy Horse from the comfort of your own home, using these fun web cams. My children and I love taking a quick field trip there from our home to see the weather and just think about our next visit. 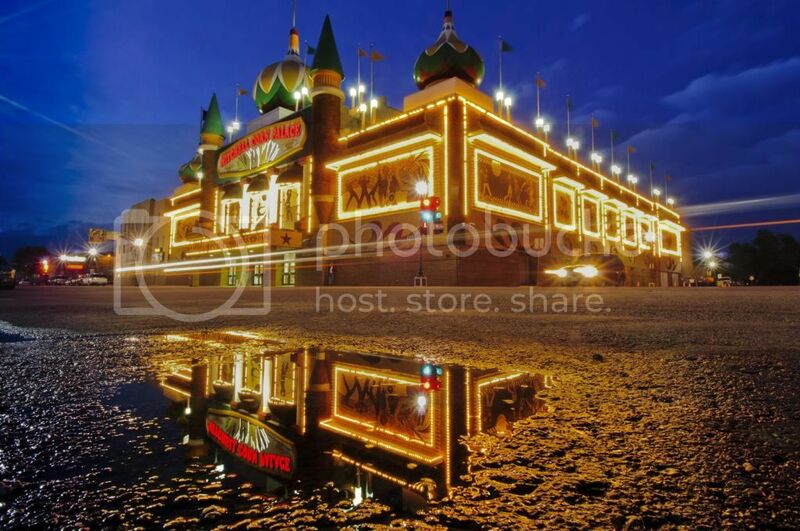 The Corn Palace was created in 1892 and attracts 500,000 visitors every year. Every year, the Palace hosts industrial exhibits, dances, stage shows, meetings, banquets, proms, graduations arena for Mitchell High School and Dakota Wesleyan University as well as district, regional and state basketball tournaments. Every year it is decorated with colored corn and grasses. It’s a fun place to stop and is open year round. You can visit the Corn Palace free of charge! 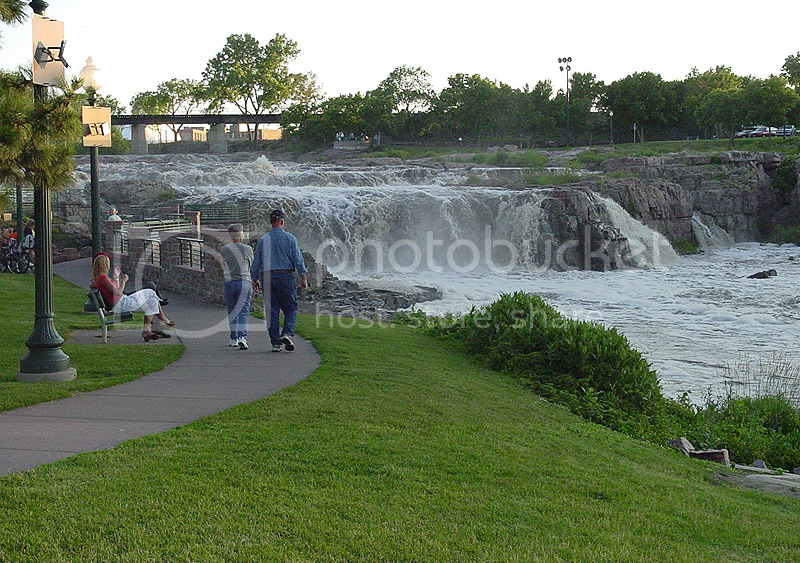 One of the very first places we visited in South Dakota was Falls Park in Sioux Falls, SD. It is a beautiful park with fantastic historical information and great places to walk and ride your bike. There is a nice little place to have lunch overlooking the falls and enjoy a beautiful afternoon. The park has a webcam, so you can even view it from home. It’s not only beautiful in summer, but also in the winter. 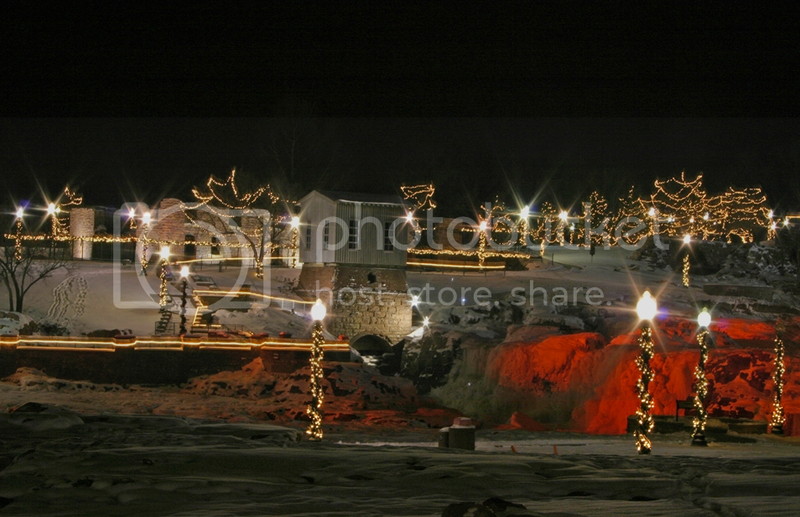 When it is covered with snow and lit up with beautiful Christmas lights, it is like a beautiful winter wonderland. It’s free to walk around and enjoy the park! Storybook Island is a children’s amusement park that allows free entry and only charges $1.50 per ride. The heart of their mission is to provide a safe and educational environment to increase the imagination of those who are young in mind and heart. While we lived in South Dakota, many of my friends mentioned Watertown to us. We never made it there, but heard about the many fun and family centered activities the town has to offer. The Mellette House, Codington County Heritage Museum, Bramble Park Zoo and Redlin Art Center will keep your family busy and learning while enjoying an inexpensive staycation within a day’s drive of other towns in SD. 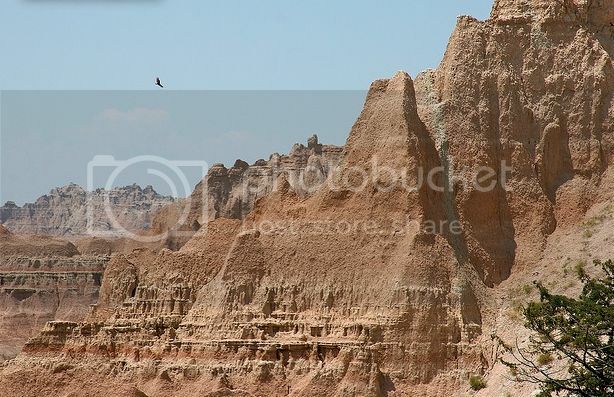 If you are looking for a fantastic and inexpensive way to spend the day while learning about erosion, the badlands is the place for your family. A car can enter the park for $15/day – and $30 for an annual pass. While visiting, you and your family can explore over 240,000 acres – which hosts bison, bighorn sheep, prairie dogs and black-footed ferrets. Don’t forget, as with most area dealing with the age of the earth to read information over at Answers in Genesis to ensure you are protecting your children’s hearts with facts that are not in line with the Bible. 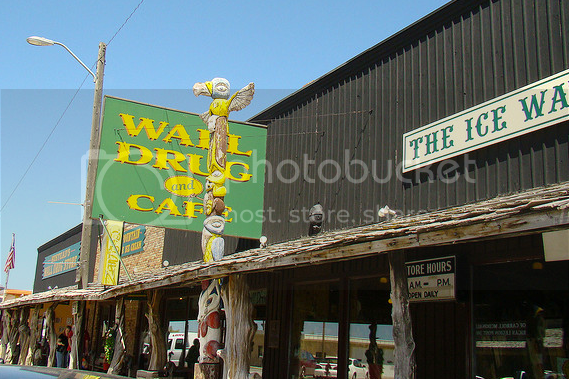 In 1829 – amidst the dustbowl of the midwest Ted and Dorothy Wall bought Wall Drug Store. They felt it was God’s will for them in the middle of ‘nowhere’. Knowing that many travelers would want ice cold water, they began advertising it and then added soda and other items to the list. Over time, Wall Drug store has become an icon – a place for everyone to stop, visit and take a step back in time. If you are ever near Wall, SD, you need to stop and enjoy Wall Drug Store and taste a little bit of American History. Where have you visited during a staycation in South Dakota? As a bonus – come back tomorrow. This post is actually part of over 100 staycation ideas! Tomorrow, I will have links to all of the posts so many have created to share – fantastic frugal staycation ideas for you. But- you don’t have to wait for tomorrow. You can being reading many now through this awesome Pinterest board! It’s been a LOT of years since I was in South Dakota – before I had kids! We visited the Badlands, Mount Rushmore, and Wall Drug Store. I would love to take my kids there, but since we live on the east coast, it would be quite the road trip. someday! Not to mention, great fishing and hunting for the dads and sons who enjoy that!!! Love you my sweet wife! I love it when you read my blog and leave me notes… you make me blush! You are right – but God used that long expensive vacation/move to grow us – He knew and knows what we need daily. Sure do miss ya!!! I have never been to South Dakato BUT we have talked about going to Mount Rushmore in the next year or two. Thanks for all the other ideas on what to do in South Dakota.